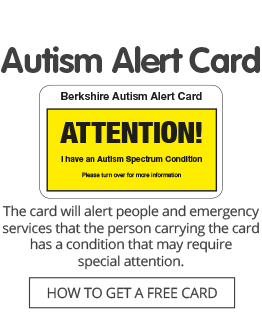 Autism Berkshire is managed by a board of trustees and employs staff throughout Berkshire, supported by volunteers. Many of the trustees and those working for the charity have children on the autism spectrum, which enable us to provide a service which is sensitive to the needs of our members. Jane Stanford-Beale, the Chief Executive Officer, has 20 years of experience in governance. She has served as a school governor and a non-executive director of Reading NHS Primary Care Trust, and is currently a member of Reading Borough Council, and a non-executive director of Reading Transport. She previously worked as a software development project manager for a leading IT company. Tony Walker is the Finance Manager. He has more than 40 years of experience in finance, in both the retail sector and local government. Georgie Mitchell is our Administrator, running the office and managing bookings for workshops and training. Helen Harris is a Development Worker, running the adult social group in Maidenhead and delivering training on independent living and social skills. Kevin Jackson is a Support Worker, providing benefits advice and running the 197 Club adult social group and Level Up young people’s group in Reading. Elaine Dowding is a parent support worker, delivering training workshops, and home visits, as well as working on our Helpline. Amanda Walker is a home visit support worker for the West of Berkshire, and also works on our Helpline and at drop-in advice session in Reading and Thatcham. Richard has a close friend with autistic children and has been involved in raising money for autism charities. He is an Associate Director in a City of London financial firm and lives in Taplow. Richard is also a trustee of the Halcyon Training Foundation, which supports autistic people to achieve their full potential through education and training. Sandra Stubbs: Trustee and Acting Treasurer. Margaret is a service user of the charity, as she has an autistic son who attends trampolining sessions. The family also attend our members’ family fun days at Thames Valley Adventure Playground. Margaret lives in Wokingham. She is currently a full-time parent and has a professional background in the law and banking.